Michael Wiese Productions (MWP) was launched in San Francisco in 1976 primarily to produce films. But, after Michael was unable to find a publisher for his first book,The Independent Film and Videomaker’s Guide, he self-published the book which went on to sell 50,000 copies. 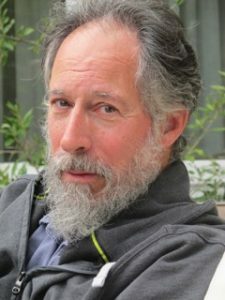 Michael then wrote four other film books over the next few years and eventually started publishing other authors’ filmmaking and screenwriting books. Today, the company is known worldwide having published some 200 books. Some of the bestsellers have been translated into 18 languages, are used in over 700 film courses, in the Hollywood studios and by emerging filmmakers. Our books fulfill a similar pact with our readers who say, “Teach me something I didn’t know that will make me a better, more successful writer or filmmaker.” We do this by demystifying the sometimes secretive worlds of screenwriting, directing, acting, producing, film financing, and other media crafts. cooperation, self-empowerment, freedom, and love. Grounded in the deep roots of myth, conscious media aims to be healing both for those who make the art and those who encounter it. It seeks to open doors to new possibilities and to pull back the veils to reveal never-before- seen worlds. Michael is an American director, producer, author, and publisher with 50 years experience in film, television, pay TV, home video and book publishing. He has launched video lines for National Geographic, The Smithsonian, NOVA, Audubon and PBS Home Video. 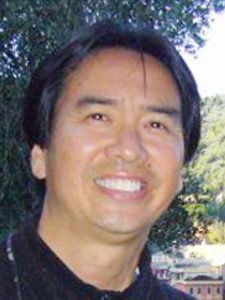 Ken Lee has been Vice President of MWP for 22 years, a crucial player in guiding the operations of the company through the acquisition, production, sales, and marketing of the finest film books available. In addition to the core team above, we work with a very talented group of copy editors, designers, new media marketers, sales reps, and more to make sure that our quality books are a welcome addition to readers’ shelves and hearts around the world.